I love Mexican food, and growing up in California, is probably the main reason for that. I try to make Mexican food as often as my family allows. We can't have Mexican food too often since my son's will only eat one Mexican dish, quasadillas. My sister Jenifer lived with us for a short time, when we lived in our first house in California, and she introduced flautas to me. She made them with mashed potatoes. I have filled them with mashed potatoes and with shredded chicken. The potato flautas I made were fried, but I have learned they are just as yummy baked. 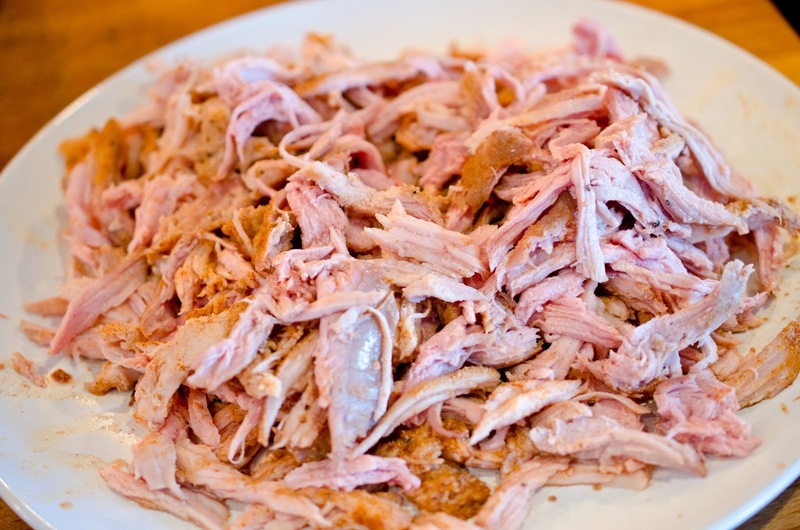 This recipe uses shredded pork, and they are baked. 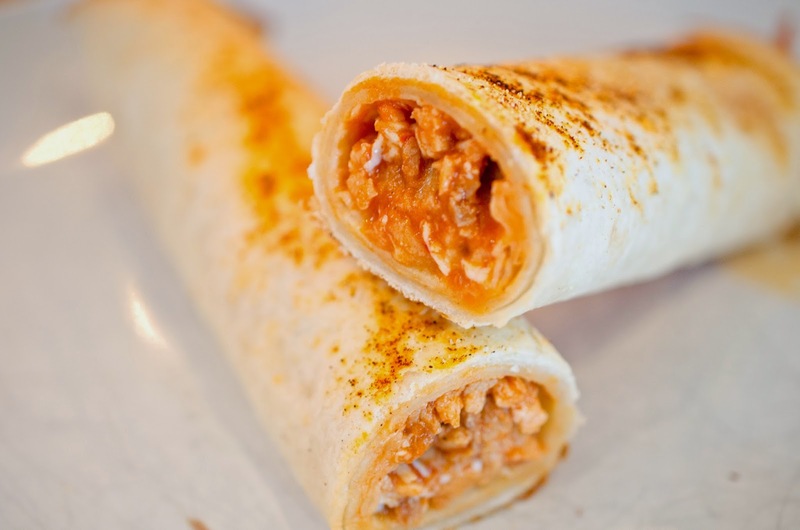 What is the difference between a flauta and a taquito? 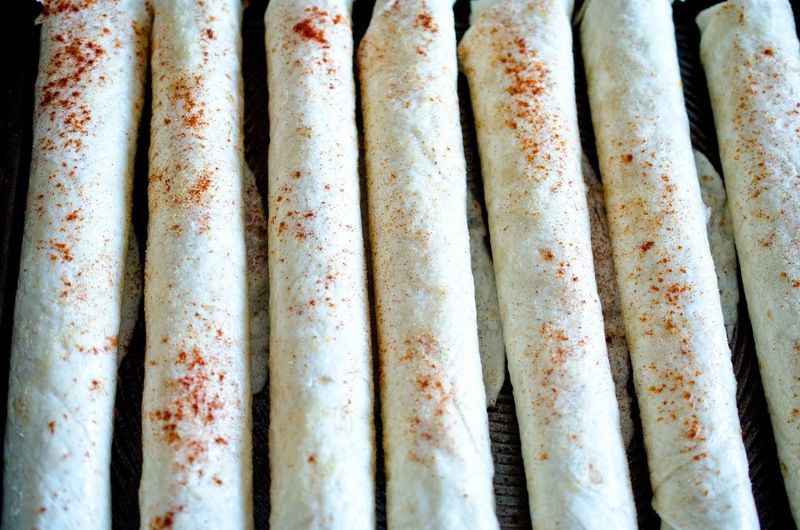 Flautas are made with flour tortillas and taquitos are made with corn tortillas. This is how to feed a craving for Mexican food, so yummy. 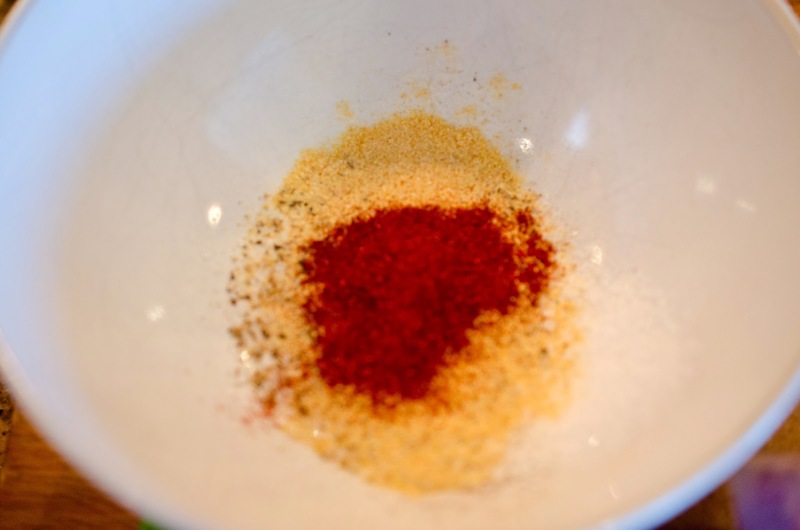 Combine garlic, salt, pepper, and paprika in a small bowl. Mix. Butterfly the roast and rub all over with spice blend. I used a rotisserie to cook mine. Place in the kabob basket. 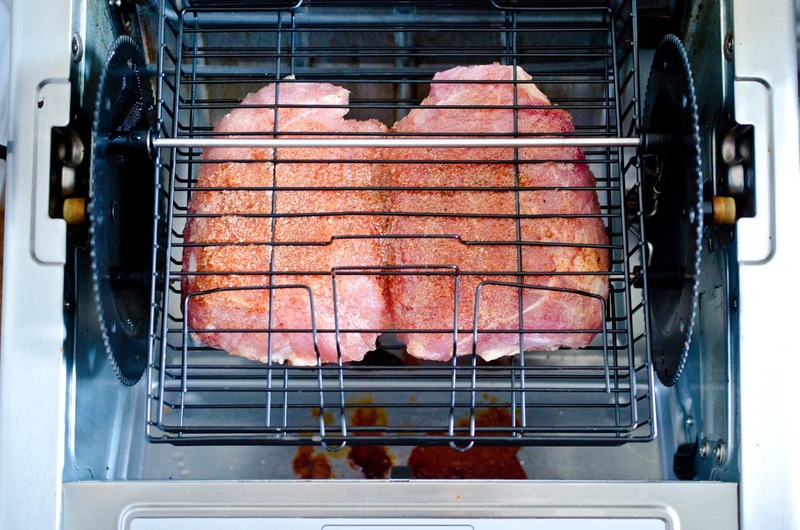 Cook pork in rotisserie for 35 minutes. 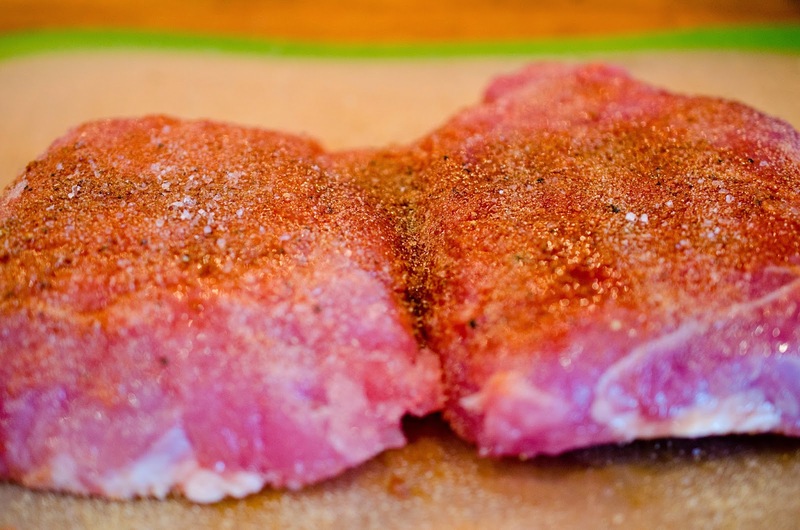 Shred the pork with your hands or two forks. with lid and cook for five minutes after it boils. 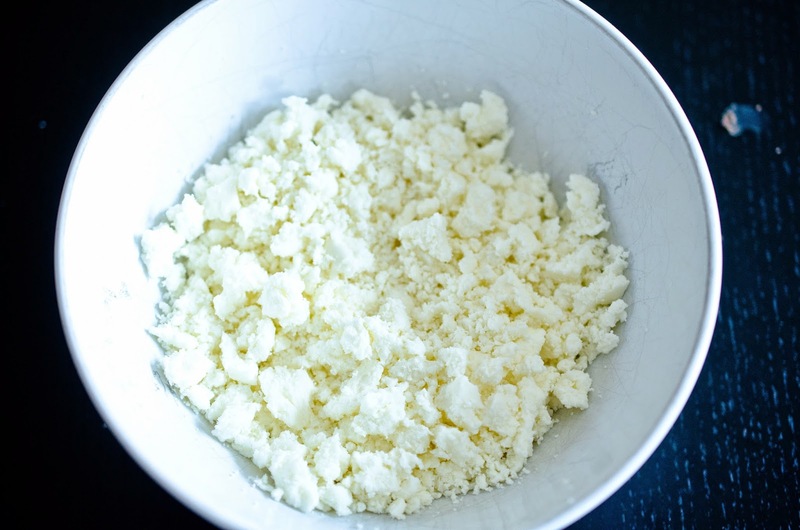 Hers is the crumbled queso fresco, so yummy. 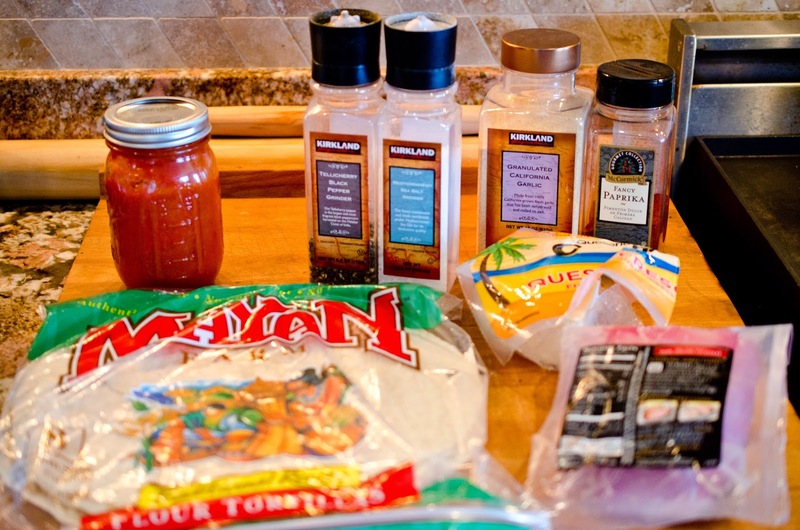 Sprinkle smoked paprika and garlic on the flautas. 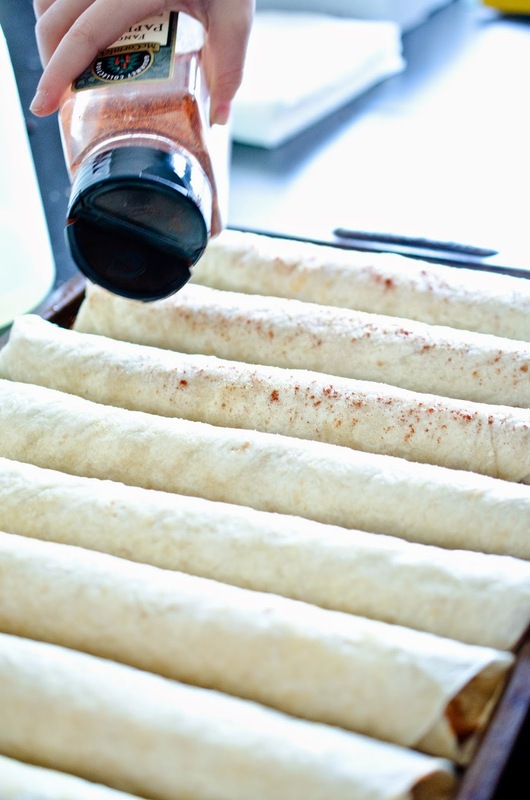 Bake the flautas for 10-15 minutes, until brown on the edges. I posted here or maybe some sour cream. 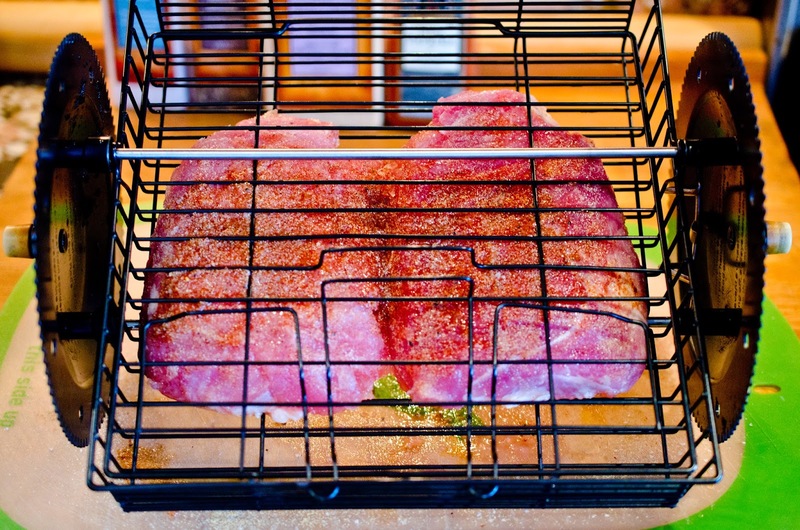 Cook pork in kabob basket of a rotisserie for 35 minutes. 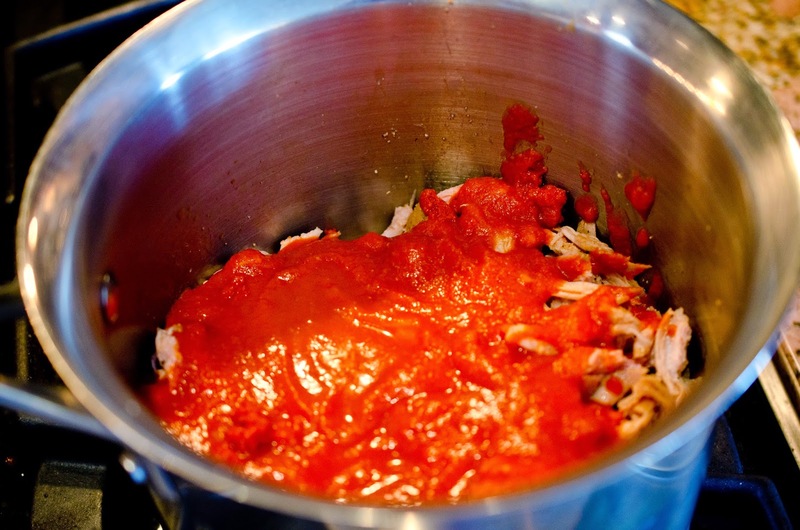 Pour enchilada sauce over shredded pork in medium sauce pan on medium heat. Stir, cover with lid and cook for five minutes after it boils. 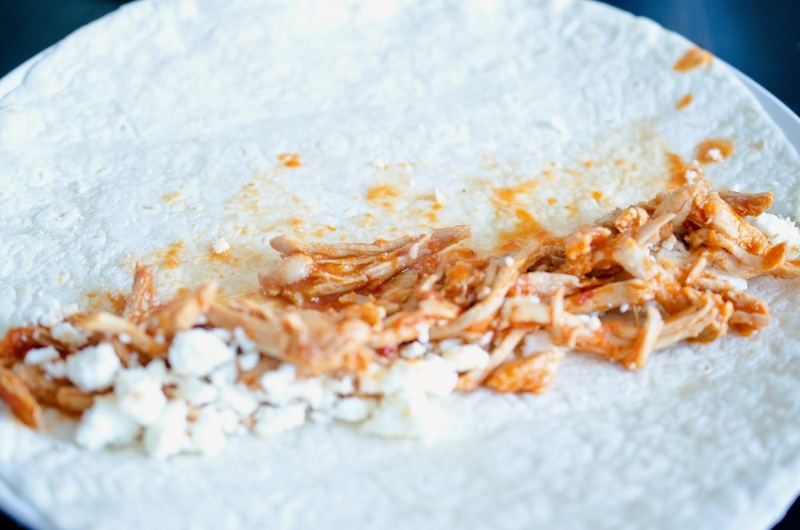 Using tongs, place 1/4 cup shredded pork on the tortilla along one of the sides and add 1-2 tablespoons cheese. Brush vegetable oil on a cookie sheet. Roll the flautas in the oil on the pan so all sides are coated with oil. Mmmmm these were delicious! And I love all the natural light in your pictures. This looks so GOOD!! Todd just bought two huge pork roasts last night, and I was wondering about all the different things to make with the meat. This is definitely something that I am adding to the list. Plus I don't think my kids will through an enormous fit about eating these.